Are you in San Francisco? Or the greater Bay Area? Have you been to any Beer Week events? 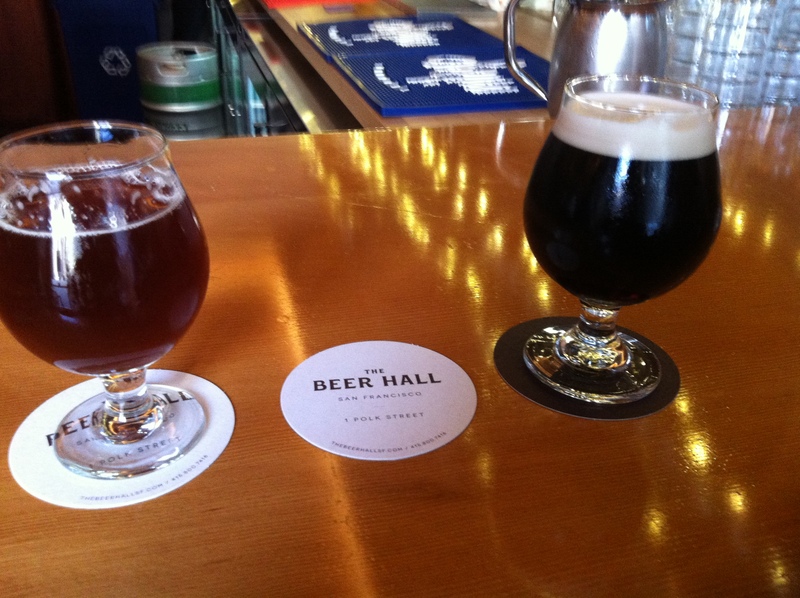 Yesterday, my co-worker Katie and I left work around 3:30 and headed towards Beer Hall on Polk Street. 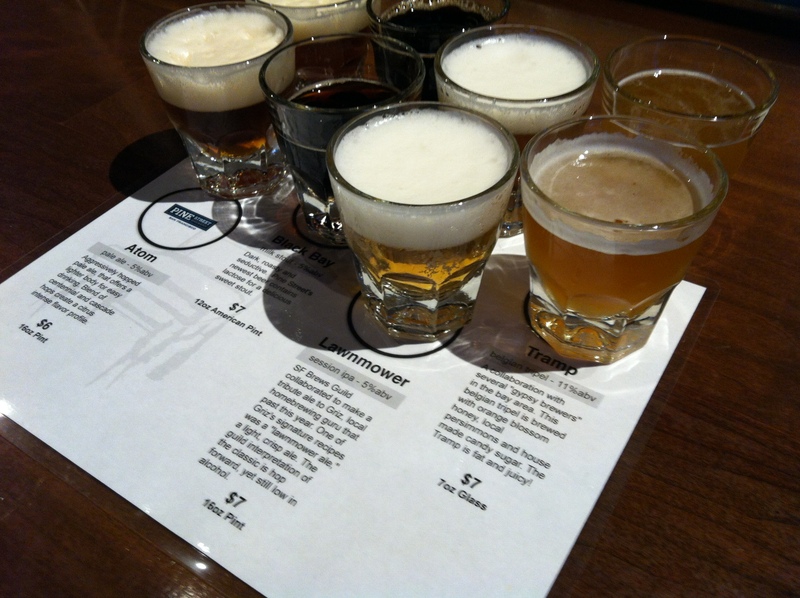 This was my second visit to Beer Hall. I really love the atmosphere and all the beers they have on tap! For Beer Week they have a few brews from Oskar Blues Brewery. I had a Merlot Barrel Aged G’Knight. I really enjoyed it. I have recently become fastened with any beer that is barrel aged and I jump at the chance to try one! Katie got Old Chub Nitro. I really like Beer Hall. The location isn’t super convenient for me, but its worth the trek to try some beers on tap that may be harder to find elsewhere. Next, we went to Asiento a really great neighborhood bar where Pine Street Brewery was having their first birthday! They also provided some great little bites while we were tasting the brews, their food is SO yummy. I really love the vibe of Asiento and would totally frequent this place if I lived in this neighb. There are still a ton of Beer Week events going on so check out their schedule!